Wow! I cannot even tell you how appreciative I am with the overwhelming response to my last post. That was, by far, the scariest news I've ever shared. I was literally shaking when I published it, and I refused to even look at any comments for a few hours. But I worried for nothing! It took me a month to work up the courage to post about it, but it's a whole new chapter in my life and I am relieved to be able to talk (write) openly about it now. I have not received a single negative comment about it, and I am so grateful for that! Thank you all so much for being so kind. With a response like that, I realize that I never should have been nervous in the first place! I was happy when my friend Adam came over yesterday, and said, "Hey, Crazy!" because I was afraid that my friends would be uncomfortable around me now. I joke about bipolar with Jerry and some close friends, which makes it much easier to accept and not feel awkward around the subject. And I hope it makes others feel more comfortable talking about it, too. Per the titration schedule of my medication, I increased my dose on Tuesday, and I'm already feeling the difference. With each increase, I feel better and better. I can't even begin to describe the difference this medication has made for me. My only regret is that I didn't listen to the psychiatrist who diagnosed me 10 years ago; but the last 10 years of my life have been so significant in who I am today that I wonder if maybe it was for the best. Along with all of the comments on my blog post yesterday, I received a lot of email and private messages--so it may take me a while to catch up in responding, but please know how grateful I am for the support. I have loved hearing from people who have decided to seek help for things such as depression and anxiety. Therapy, a proper diagnosis, and medication have really turned things around for me, and I am thrilled to be on a positive path right now! That said, I have been considering (for over a year now!) about changing the name of my blog. I just don't have the same joy for running as I did before. I do plan on getting back to running (actually, Monday is when I start the six month training plan), but I haven't been writing about it much in the last year. I also have gotten away from posting mostly about weight loss/maintenance, mainly because I feel like I've said most everything that I felt I needed to say. I will definitely still post about those things, of course, but I feel like I've outgrown the "Runs for Cookies" blog title. It feels misleading somehow. 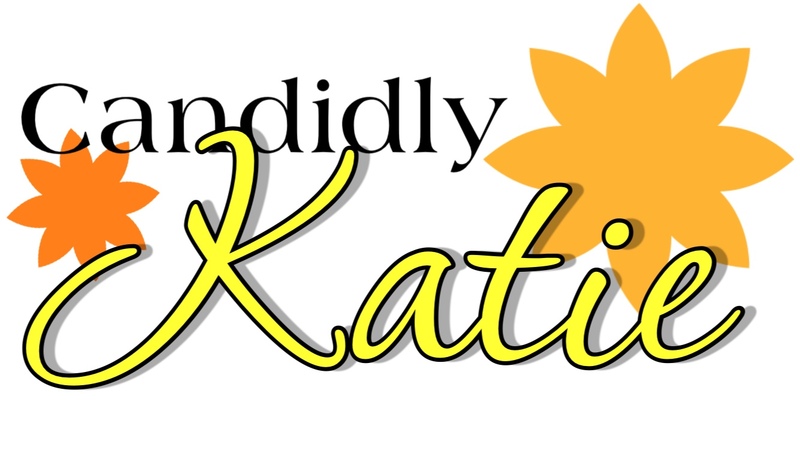 So, a little over a year ago, I actually bought the domain CandidlyKatie.com. I thought it had a nice ring to it, and it describes my blog without committing to one particular topic. I have absolutely zero idea how to make the switch, though. I'm afraid that changing it up will break all of the links to and on my blog, and I really don't want to screw anything up. If any of you reading this know how to do it seamlessly, I'd be happy to pay for services--I just don't even know how to find someone that does that! Anyway, I imagine I will lose a significant amount of readership; but considering my interests have changed, and therefore the content of my blog has changed, it's understandable. I will try and warn everyone far in advance when making the switch, but if you happen to notice my blog is offline for some reason, that is probably why. I will (hopefully) get it back up quickly. But right now, I just really need to find someone to that knows what they are doing to help me out. I will probably change it a thousand times before making the official switch, but it's fun to think about. Although, it will feel a little sad to shut the book on Runs for Cookies--I feel like that's my whole online identity! I think last week I was 138.8 (it's always hard to remember the tenths of a pound), so that would be a 1.6-pound loss this week. Awesome! I am almost back to my official goal weight of 133 (but I honestly wouldn't mind being this weight, or even up to 145, if I can maintain it). I am still not counting calories, and I'm amazed that for the first time in my life, I'm able to lose weight this way. I've been eating four times a day, whatever food sounds good to me, and keeping my portions relatively small (not tiny, but enough to feel satisfied without feeling stuffed). I really think the biggest difference has been the fact that I haven't been drinking much at all. Like I mentioned before, it wasn't necessarily the amount of calories in the alcohol that was an issue (wine really doesn't have many calories) but whenever I would have any alcohol at all, I would want to eat. And it would cause me to overeat pretty frequently. So, I made a little "rule" for myself--I will only drink in social situations, and I will limit myself to two drinks max. Since doing this, I actually feel really good! At first it was hard, because I was so used to having a glass of wine or two on most evenings, but after about a month, I found that I didn't miss it anymore. I miss the idea of having a glass of wine while cooking dinner, or sitting down and chatting with Jerry at the end of the day, but I don't miss the overeating that followed or the wine headache I would inevitably get. Another change I made was that I stopped drinking tea and coffee. I did this because the caffeine (even the small amount in tea) would make me very jittery and anxious. Since I'm really focusing on my mental health right now, I will do whatever I can to relieve the anxiety. I do have some decaf teas, so if I'm in the mood for something hot, I can always make that. But my new medication causes me to be thirsty throughout the day (my mouth and throat get dry), so I've been drinking a ton of water just by sipping it throughout the day. Well, I had better get back to catching up on email! I also purchased the photos from Saturday's race, but they haven't been available to download yet. I had been hoping to share a comparison photo on today's post. Hopefully tomorrow! Well...I wouldn't worry too much about losing readership. Your fans/readers follow your blog because they like reading your story and hearing what's going on, what you have to say etc. We're going to follow you no matter what the title of your blog is. :) And I love that title too...sounds fun and perky. Katie, I love your blog and it makes sense to transition to a new one, which I'm sure I'll love as well. Will you keep your old posts (or blog as a whole) available for those of us still in the weight loss mindspace? I'd love to look back on previous posts when I need to refocus or come up with new ideas. Thanks for sharing your life experiences with us, I love the new name. I love the new name!! I think it really suits you. I would keep on reading of course! I will read your blog no matter what!!! I am so glad to hear that you didn't get negative comments, that makes me so happy!!! I'm in, no matter the change! I've been thinking exactly about this and hoping you haven't been pressuring yourself to run BECAUSE of your blog title! I think exercise works best when people find movement they love because it's what feels good- but what feels good in terms of movement usually charges throughout life. Over the last 30 years of exercising I've gone from running to aerobics to rollerblading to judo to yoga to spinning to Kickboxing to barre...you get the picture. All that matters is that you do what helps you feel at home in your body. I will continue to read no matter what you write about because you're a great writer and mom and I love following your journey. GO Katie!!! If you are undergoing a domain migration, you might want to seek someone out who has SEO experience. In order to keep your organic search and referral traffic, you would need to transfer your content to the new domain and implement 301 redirects. If you keep all of your page URLs the same, it would be easy for someone to write a 301 redirect rule that just swaps out the domain. You want to make sure that you don't just end up redirecting all of your pages to the new homepage on the domain though. They should be one-to-one redirects. I love the new name! The header, too! Love the name u chose for the new blog and I hope someone can be found to make the whole transition easier, but like others have said - no worries on losing readership. We all love you Katie. hee hee, when I'm talking about your blog I say "Katie" & my boyfriend will say "Runs for Cookies?" 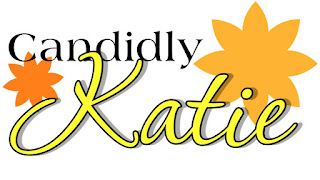 Now I'll have to say Candidly Katie ;) I think go for it, you won't lose readers (or if you do, you'll gain new ones). I like your "alcohol rule", it sounds really sensible & something which can be a life-long change. I've been reading your blog for a long time and you've even inspired me to start my own blog. Thank you for always being real and inspirational! Thank you for always sharing... You are helping so many of us! Cassie from Wholefully.com had to change the name of her blog a while back (she wrote some in depth posts about it and the reasons why she had to do it). She's always been very responsive to blog readers so maybe you could reach out for questions about the transition? Good luck and thank you for always being so real and candid! My mom and sister are bi-polar. When my mom was officially diagnosed years ago with bi-polar and put on the proper medication, it was like night and day! It made such a difference.